Data collection for the GeoEarthScope Northern California LiDAR project concluded in April 2007. Over the course of several weeks, approximately 1400 square kilometers of EarthScope targets were imaged as well as supplementary targets for the USGS and the California PUC. 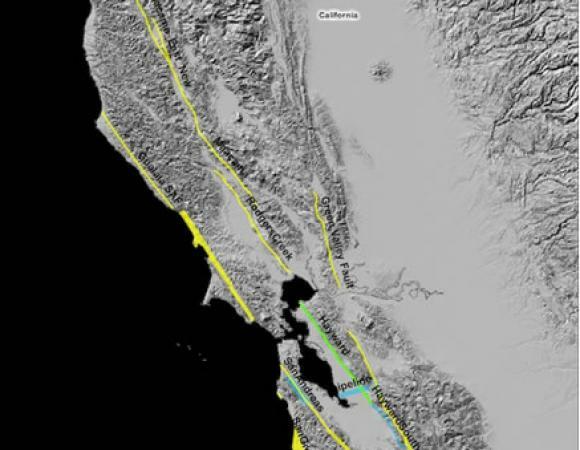 Between this project and the previously conducted B4 project, also funded by NSF, the entire San Andreas fault system, along with many other important adjacent faults and structures, have now been imaged with high resolution airborne LiDAR. Data processing for this project began immediately following the collection phase and preliminary imagery products are now beginning to emerge. Data collection and processing efforts to date have been conducted by the National Center for Airborne Laser Mapping (NCALM) and Ohio State University (OSU) under contract from UNAVCO. 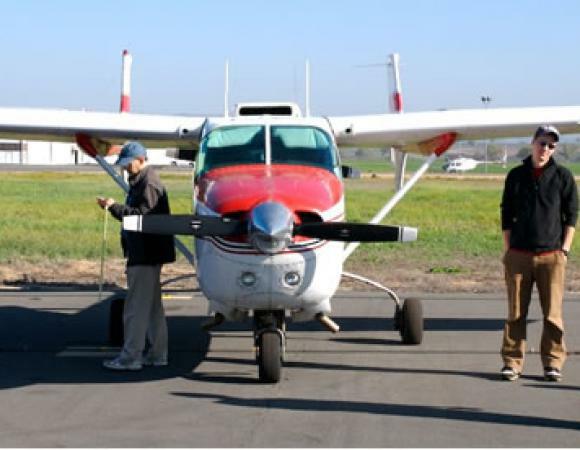 Precise GPS trajectories, critical for determining the aircraft/laser scanner position at the time of data collection, are first computed by OSU. NCALM processes the GPS trajectories and laser scanning data to produce high resolution imagery products, such as filtered and unfiltered digital elevation models (DEM’s). 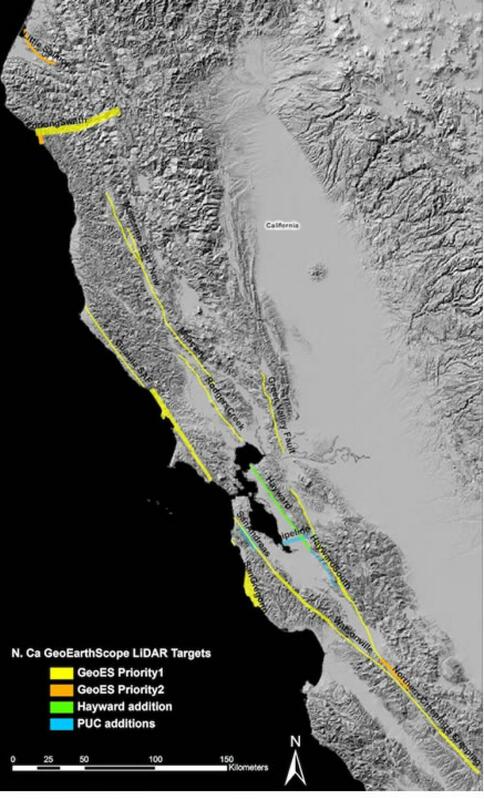 Shown here are preliminary 1-meter DEM’s provided by NCALM of 1) the southern “creeping” section of the San Andreas fault on the Carrizo Plains, and 2) an urbanized segment of the Hayward fault. Data processing continues in earnest and final imagery products will become available in the coming months.